Police are requesting assistance from the public in locating and identifying a man believed to be responsible for a residence burglary and an attempted residence burglary, both occurring in Broadmoor. The pictured subject is believed by NOPD Second District detectives to have committed a residence burglary on Jan. 25 in the 3300 block of Jena Street. Later, in the early hours of Jan. 26, the same man reportedly attempted to open a window and door to another home in the 3200 block of Upperline Street. 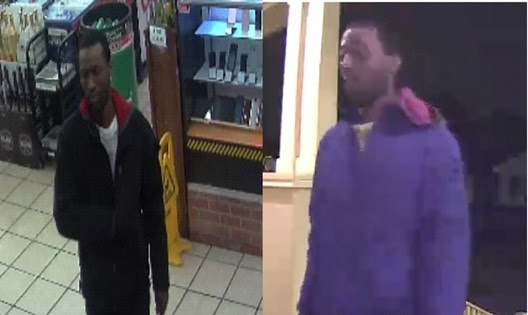 The subject was caught on surveillance camera on both incidents and is seen to be wearing the same clothing, although the colors appear different due to differences in cameras. Anyone with additional information on these incidents or the pictured subject is asked to contact NOPD Second District detectives at 504-658-6020, or to call anonymously to Crimestoppers at 504-822-1111 or toll-free at 877-903-STOP.